We are so excited to introduce you to the all-new Ruth Dress, as part of our collaboration with Ruth Chou Simon from Gracelaced. Ruth and Amy met online and became fast mompreneur friends. Their friendship is truly a marriage of similar personal and business principles. 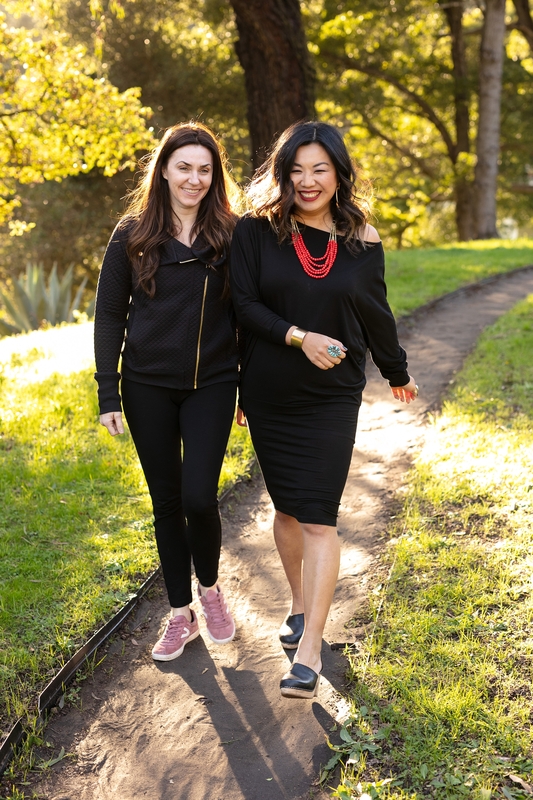 Both of them harbor parallel core values at the heart of their businesses, a message for women that “you are loved, you are beautiful, and you are valued right where you are in life right now”. As a busy wife, mom to six boys, author, painter, designer, speaker and more, Ruth is a thoroughly busy modern woman just like so many of our Evy’s Tree ladies. We understand the need for both practical and pretty, and the Ruth Dress is a perfect combination of classic fashion with practicality that we think you will love as much as we do! In late 2018 Ruth spoke at an Evy’s Tree Girls Night Out event, and afterwards she casually doodled an idea on a napkin for a versatile ‘little black dress’, and Amy immediately envisioned bringing that dress to life. A brand new style to Evy’s Tree, this convertible dress can be worn as a feminine dress for a night out, or as a flattering off-the-shoulder blouse, depending on your mood and the occasion. Made in a soft, stretchy, and comfortable jersey fabric, this is one of those foundational pieces that can be work alone or layered with most of your other Evy’s Tree piece such as our recent Zoe bomber, the new Sophie in Peony, any Nicole wrap….the possibilities are endless! You’ll look amazing however you decide to wear it.